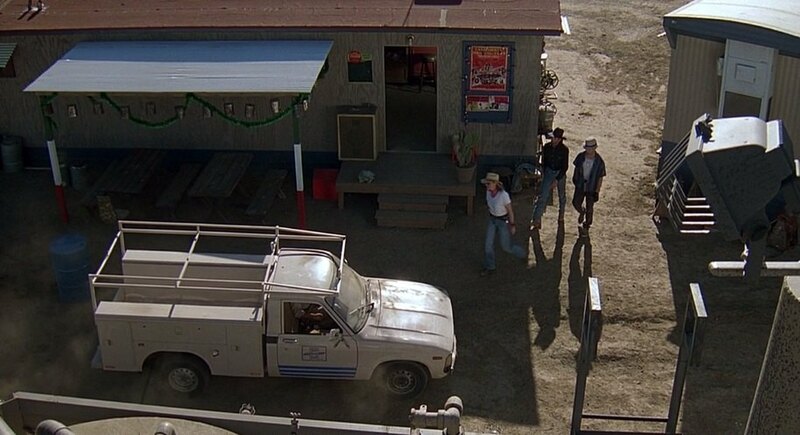 IMCDb.org: 1982 Toyota Truck [RN30] in "Tremors II: Aftershocks, 1996"
Toyota Hilux I think.... 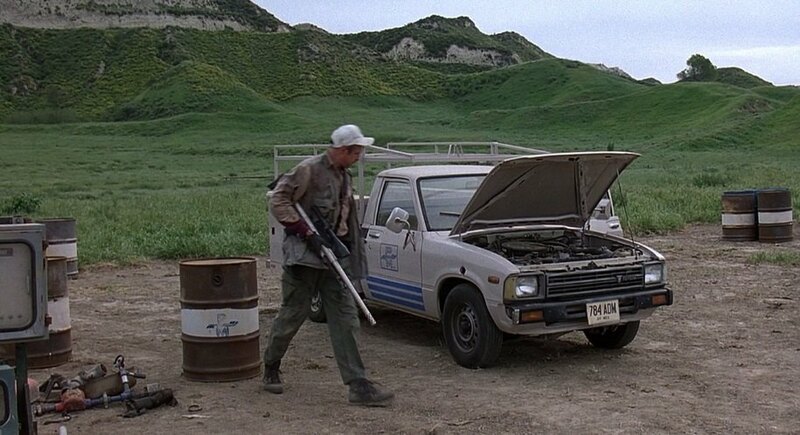 Were they still using the Hilux name in the US when this one was built? 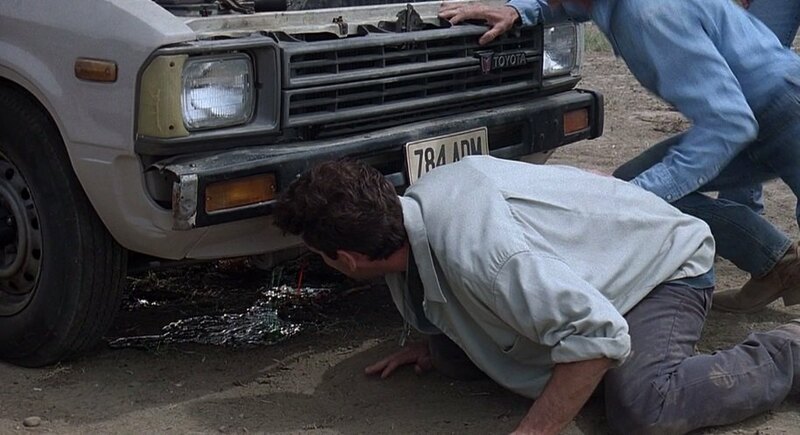 Hilux in NZL but mite be called a Tacoma in the USA. logo on grill is 80's style. Taken out with the .50 cal!